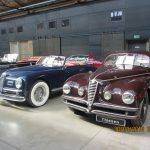 Home » Annual Shows » An Italian experience to remember – in Berlin!! 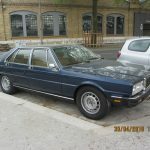 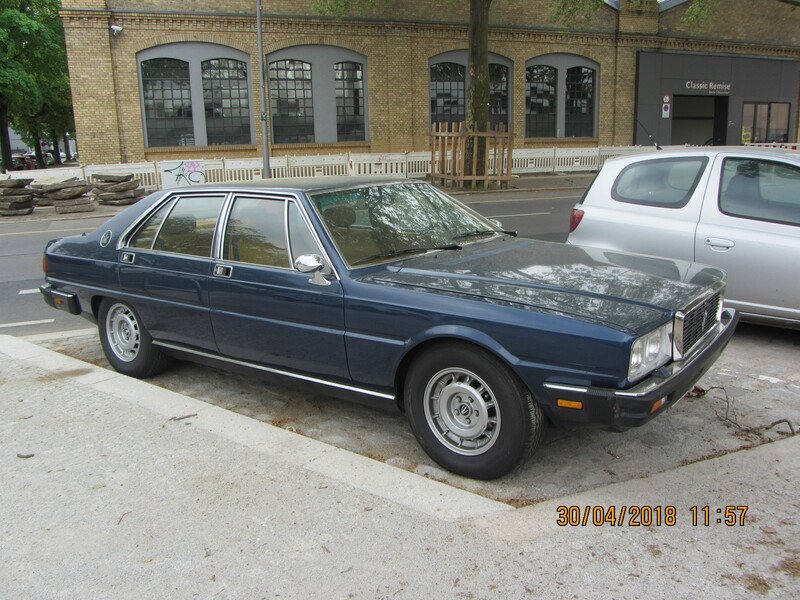 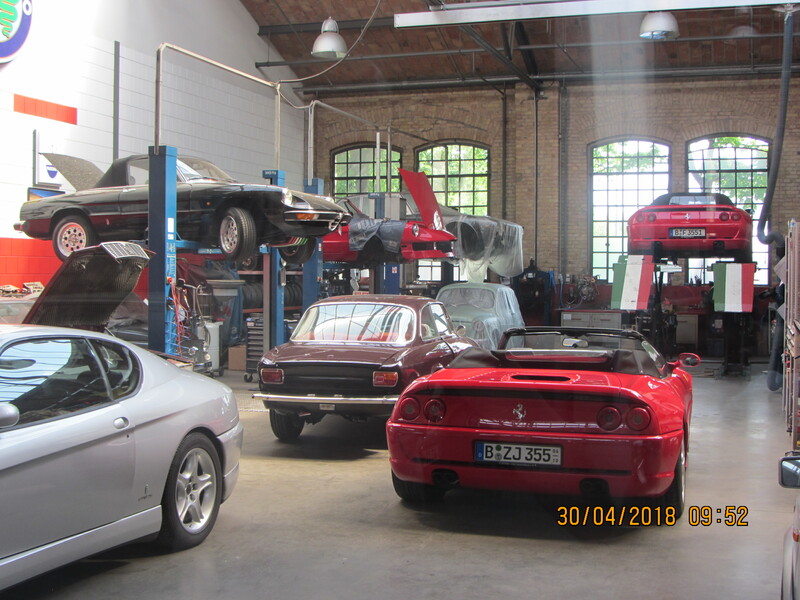 As I headed off for a short break in Berlin last week I didn’t expect to see an abundance of Italian cars on my travels and for the majority of my trip that was true. 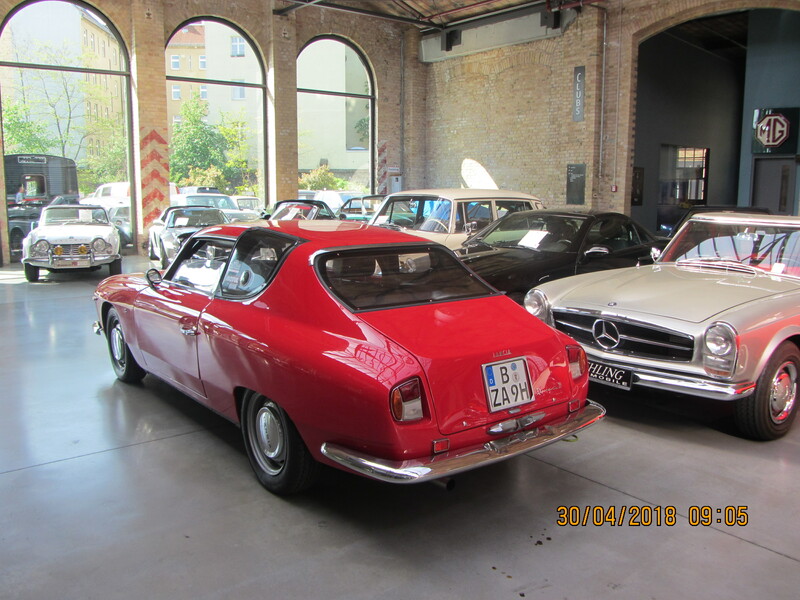 In Berlin they are evidently very loyal to the German car manufacturers with Mercedes, BMW, Porsche, Volkswagen and Audi accounting for the vast majority of cars on the streets of Berlin. 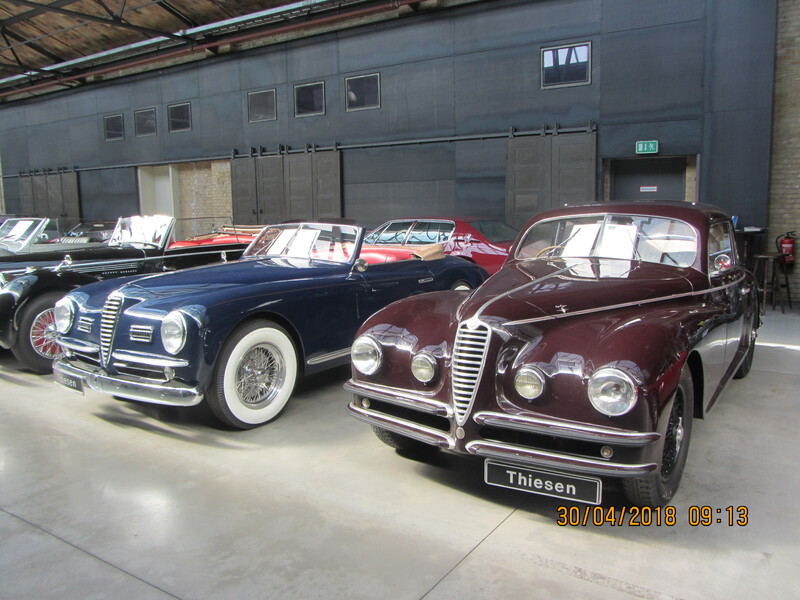 Italian cars were thin on the ground with only a handful of Alfas, Maseratis and Fiats to be seen. 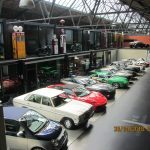 Even the ever popular Fiat 500 was not the small city car of choice for many. 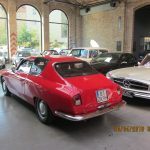 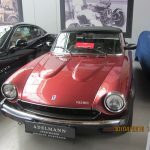 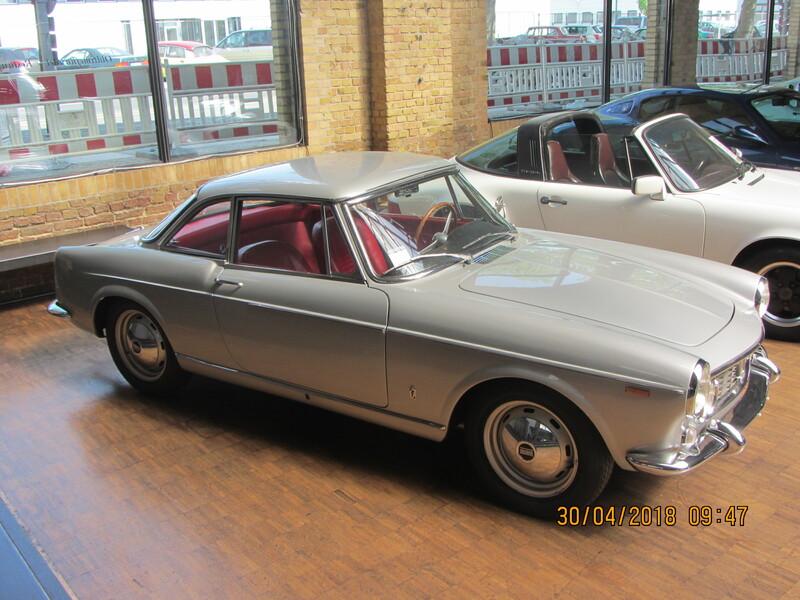 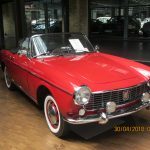 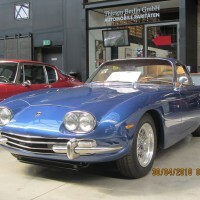 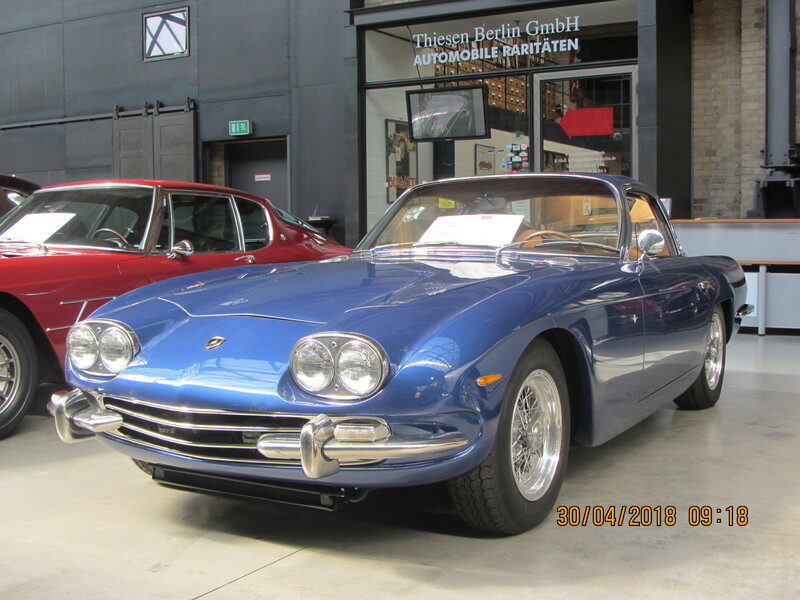 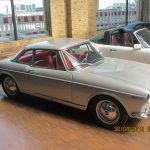 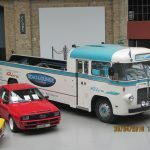 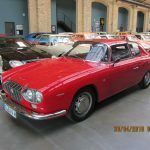 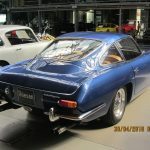 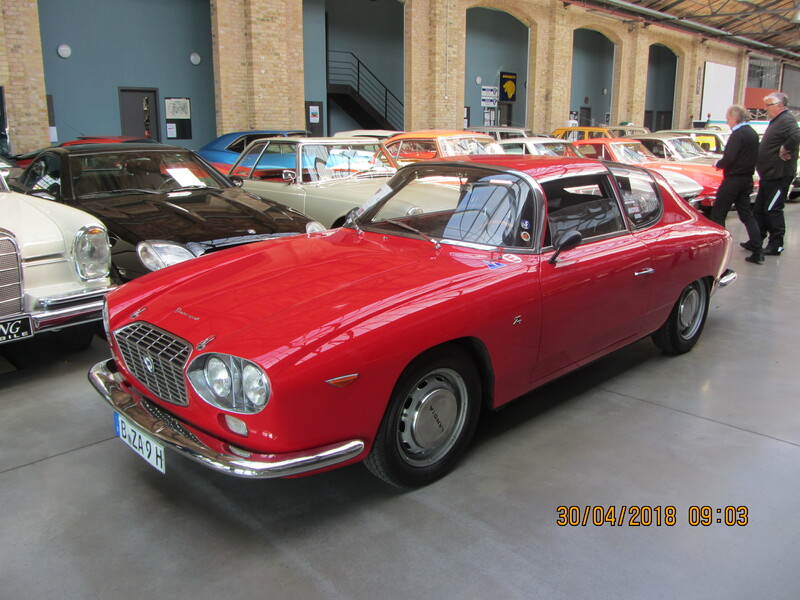 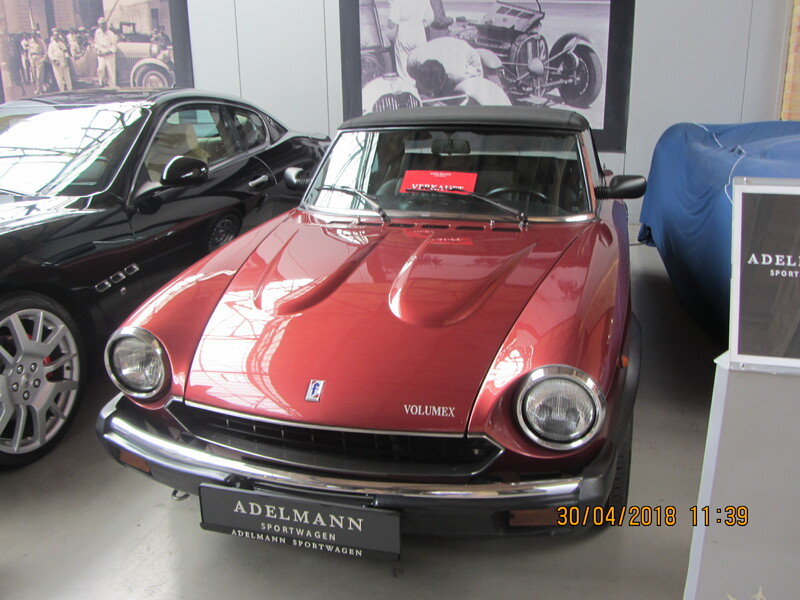 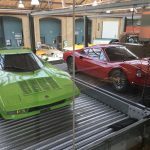 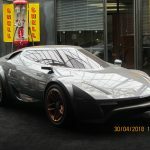 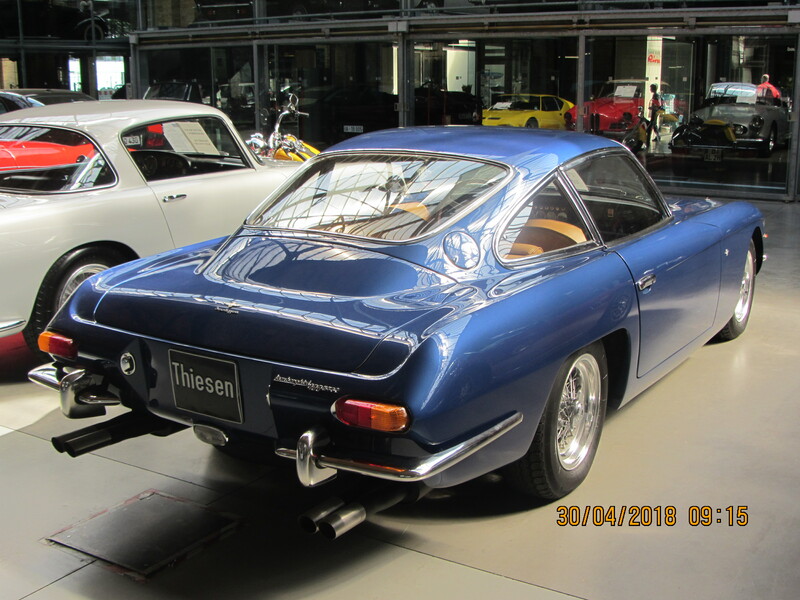 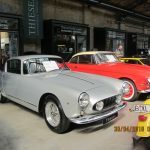 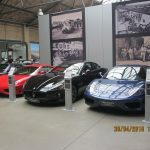 My luck was to change however with a trip to the “Classic Remise” in Berlin, part of the Thiesen Automotive Experience. 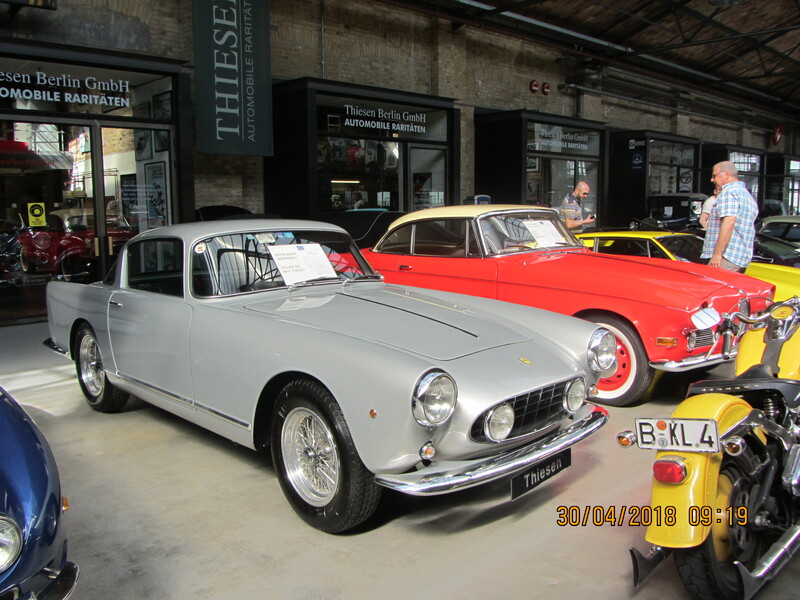 Thiesen is one of the leading European classic car dealerships, highly regarded for its ability to select some of the finest automotive rarities to add to its inventory of cars for different motoring eras. 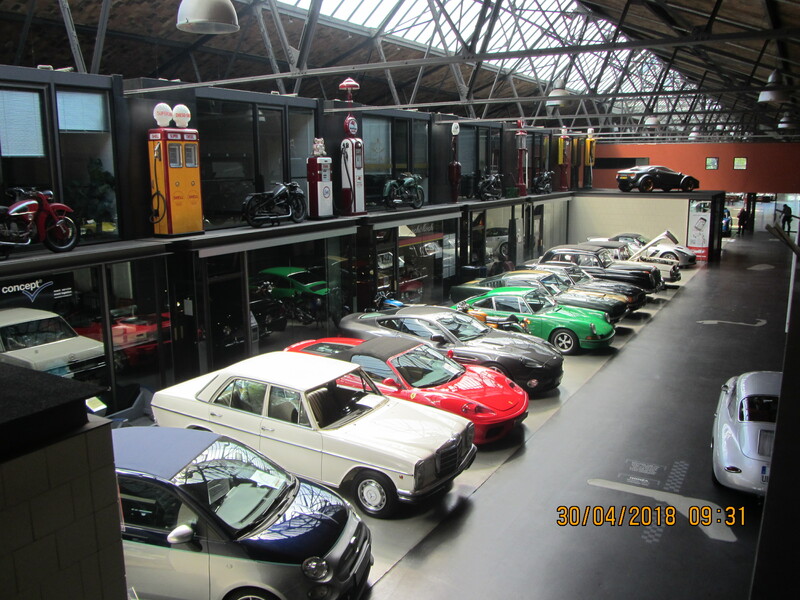 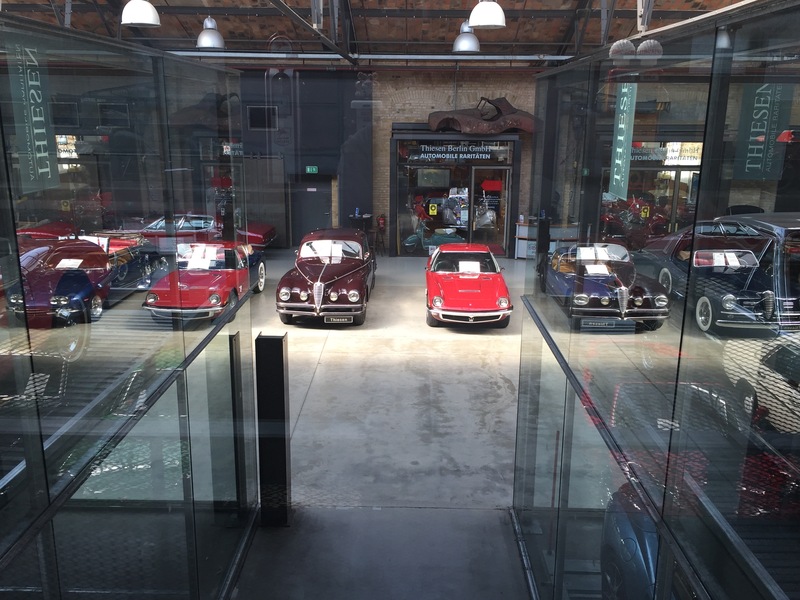 The showroom on the outskirts of Berlin was formerly a tram depot and provides a delightful historic setting in which to showcase some of the finest automotive classics. 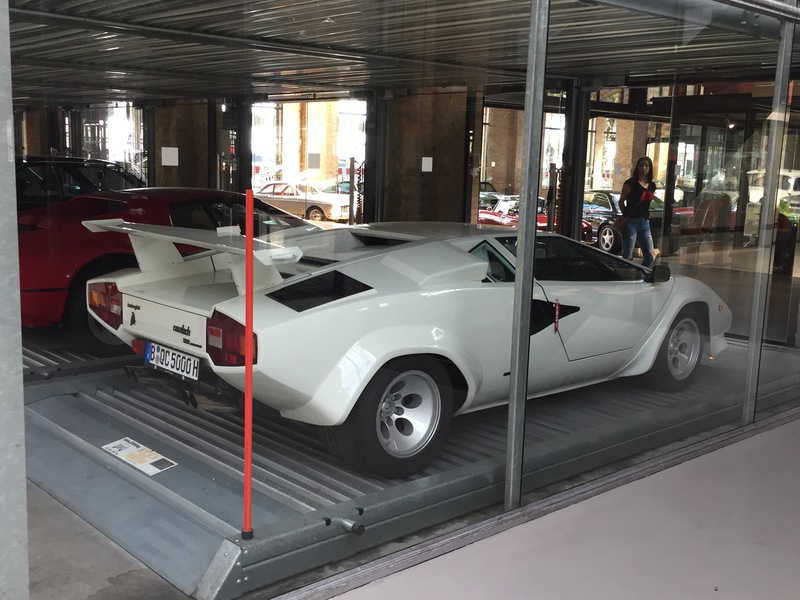 From the moment we arrived there were a selection of desirable cars parked around the building but this was simply a warm up act for the treat that was in store once we stepped inside. 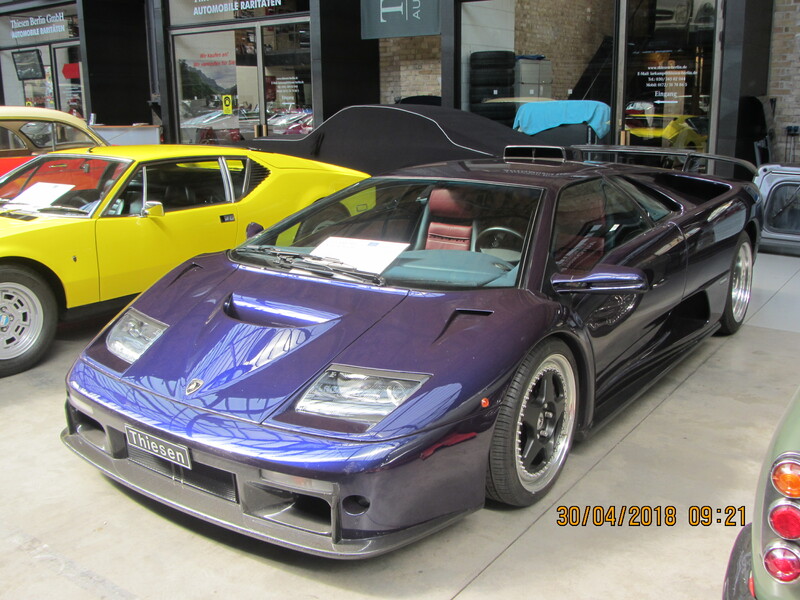 I will let the photos speak for themselves but the style, quality and rarity of some of the cars on display was simply breathtaking. 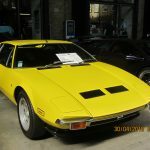 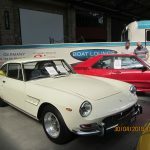 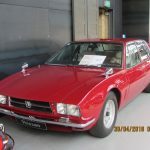 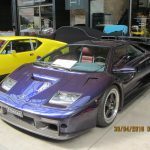 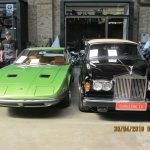 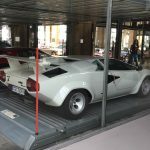 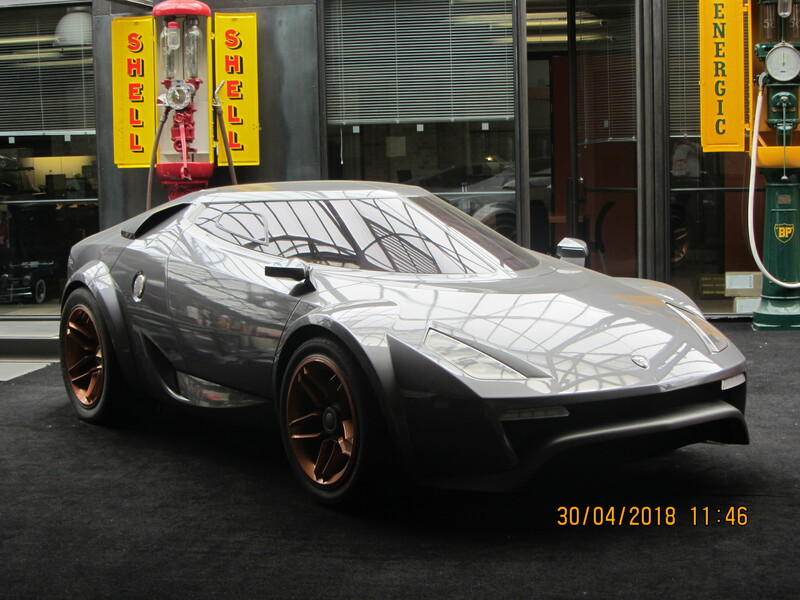 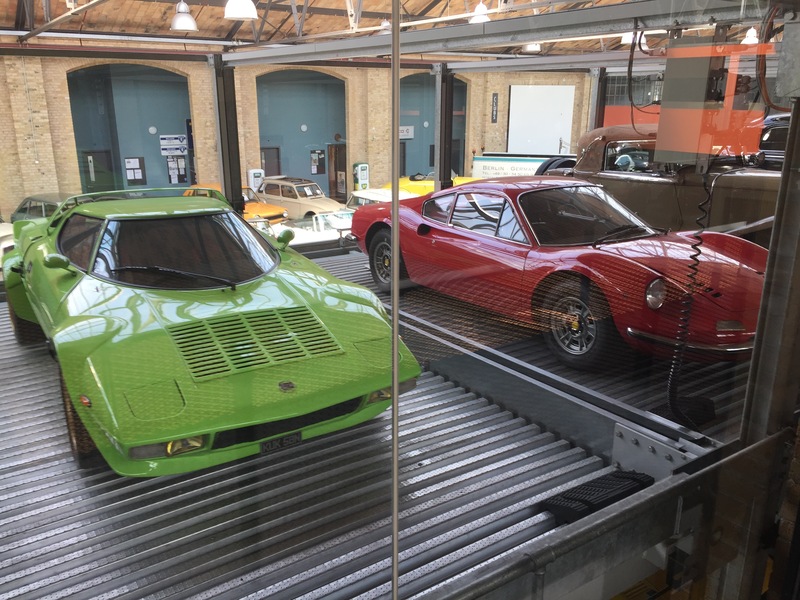 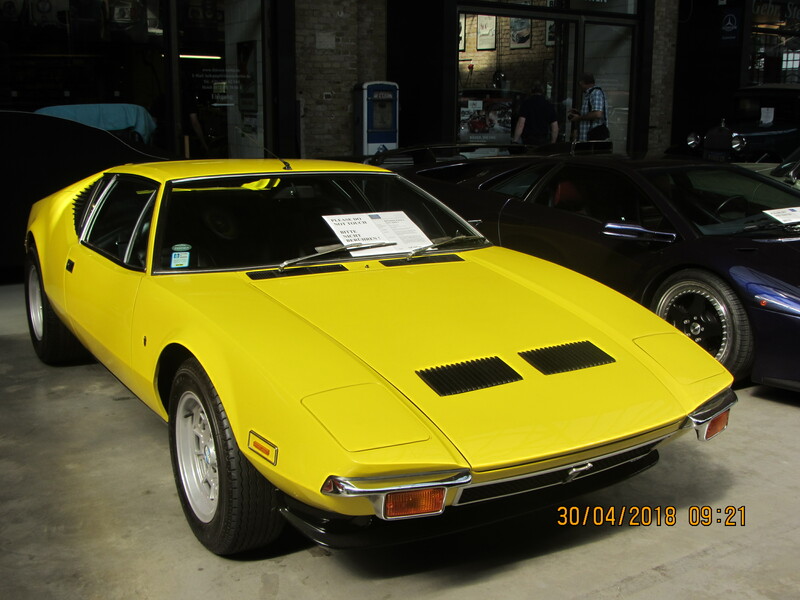 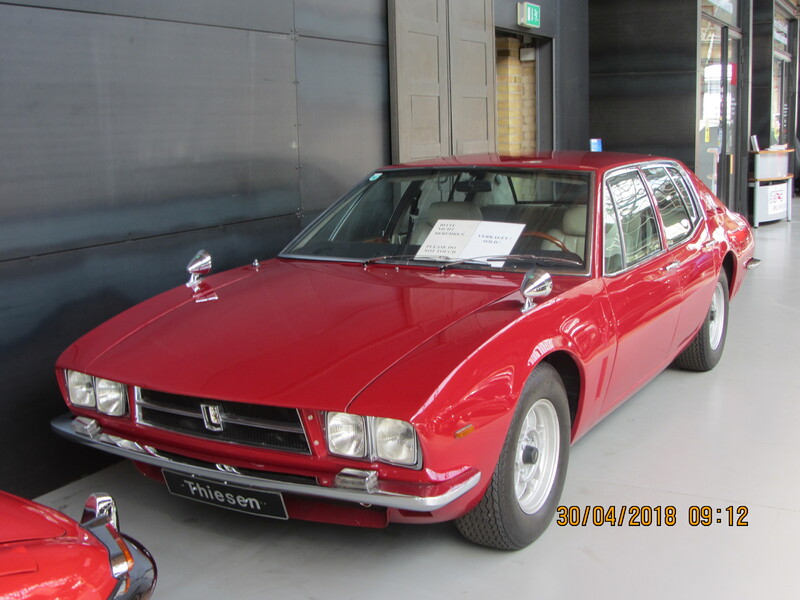 My eyes literally did pop out of my head as I walked in – I was like a child in a sweetie shop -I didn’t know which car to choose to look at first – the Lancia Flavia Sport Zagato, Lamborghini 400GT, Maserati Mistral and De Tomaso Pantera all caught my attention. 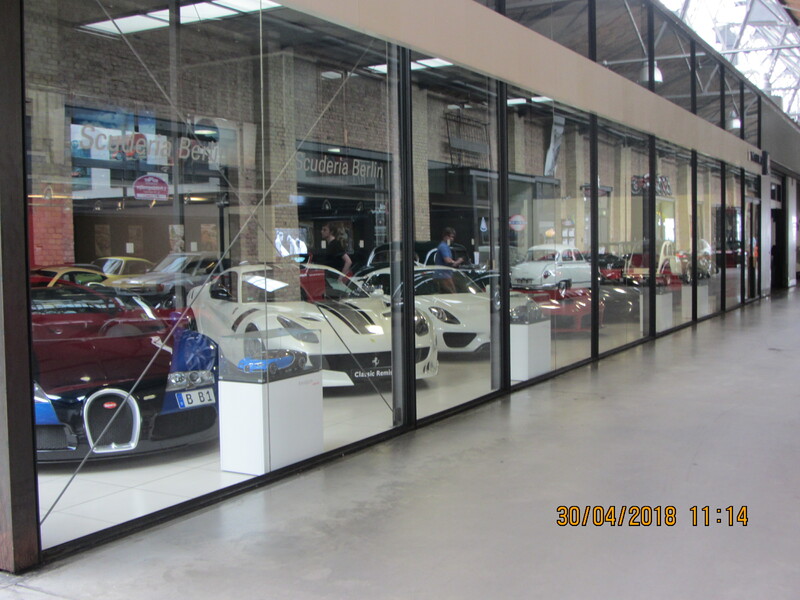 The way in which some of the cars were stored in two storey individual glass garages was also a stunning sight. 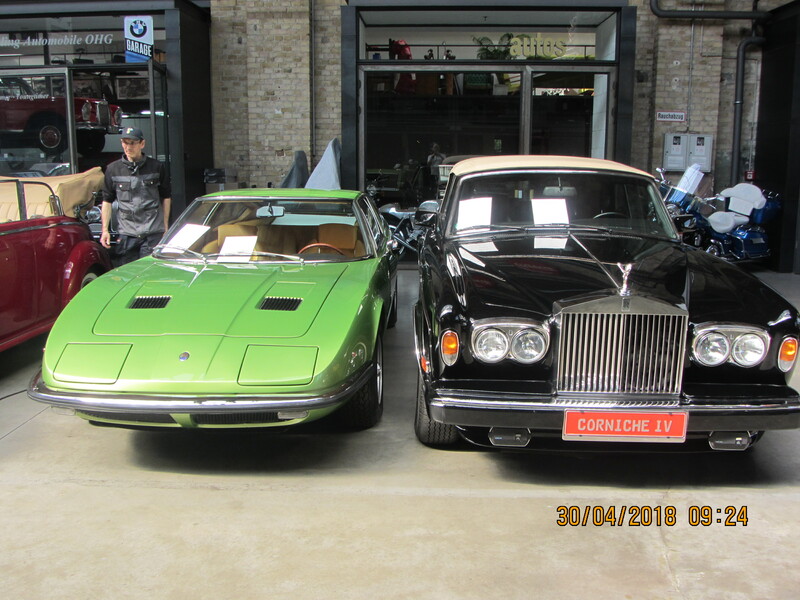 Lots of exotic Italian metal was nestled amongst much sought after German and British cars in particular from Aston Martins, Bentleys, Jaguars, Porsches and Mercedes but with a selection of iconic American cars too. 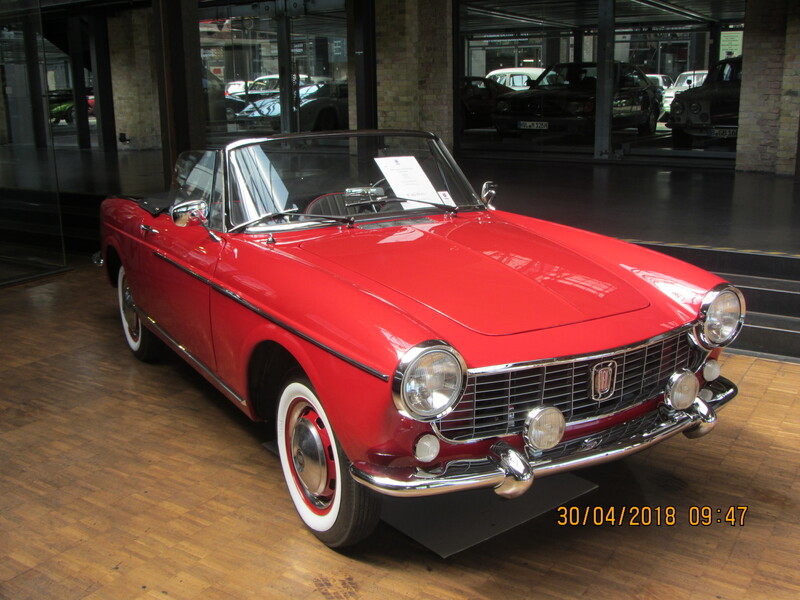 I was also pleased to see a bright red Fiat 1500 which reminded me of our much loved and deeply missed former club member Herbie McBratney. 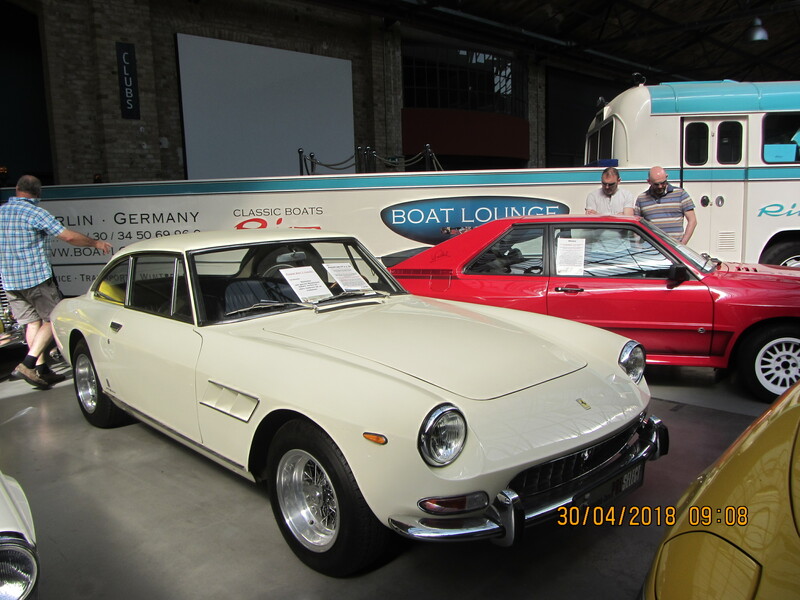 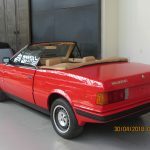 A variation on the Fiat 1500 cabriolet was a two door Fiat 1600 coupe – the first time I had seen one in the flesh. 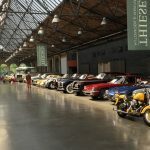 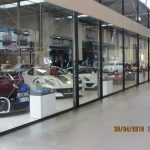 Part of the unique charm of the Classic Remise experience was the fact that visitors are able to wander past the workshops on one side of the building to see skilled craftsmen and mechanics going about their business as they work on a selection of cars. 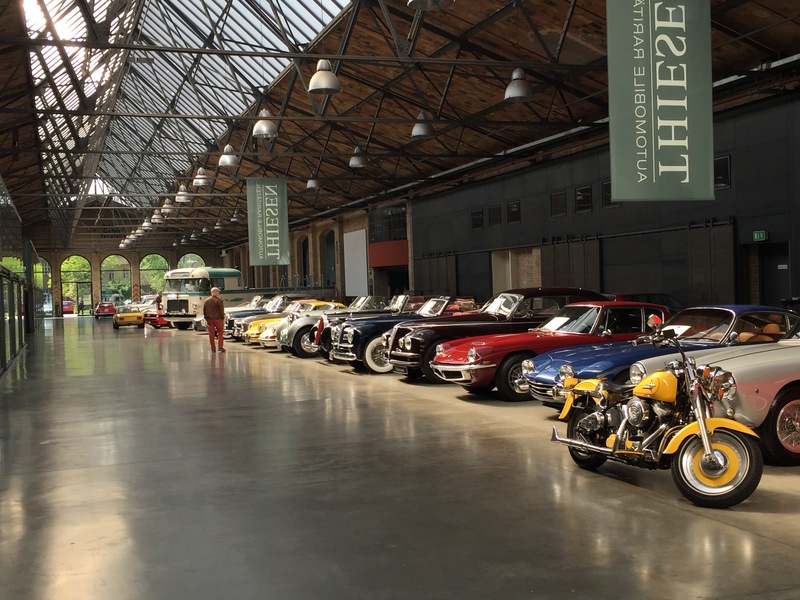 There were separate workshops for British, American, German, Italian and even French vehicles. 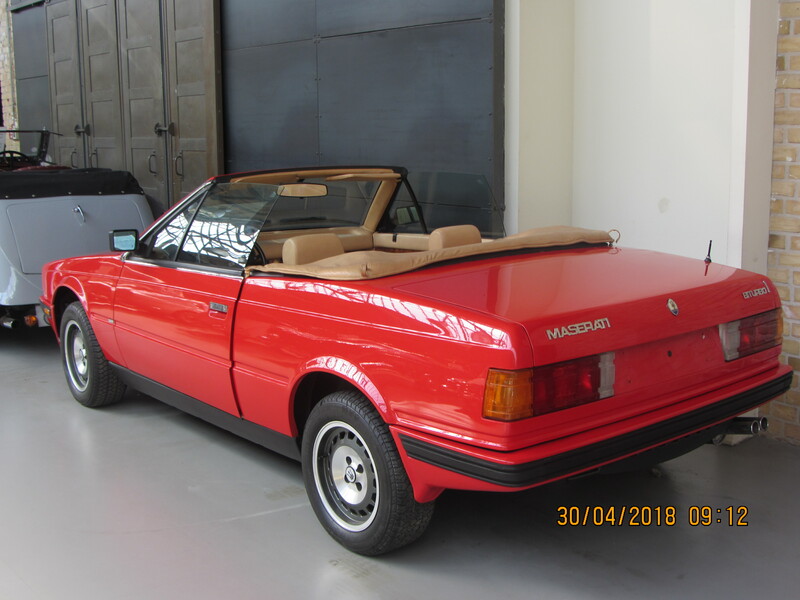 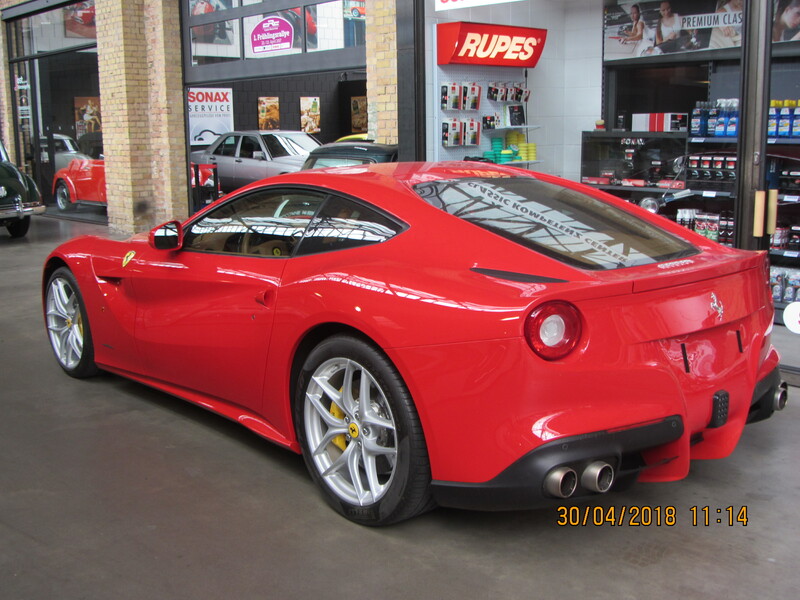 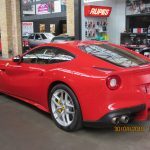 For car loving enthusiasts like me it is easily possible to spend 3-4 hours ogling the cars on display and watching all the activity as other cars are taken on test drives or arrive for some fettling in the workshops. 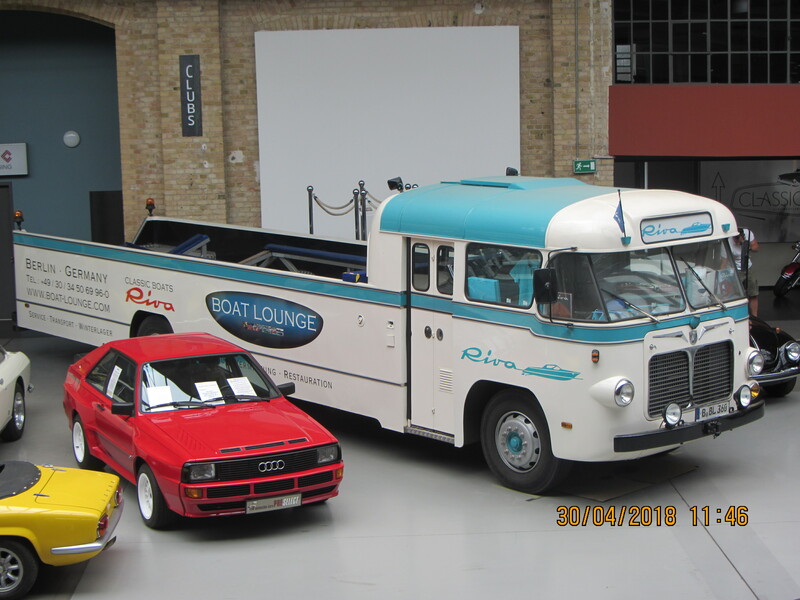 Grabbing a bite to eat and some refreshments was also possible as there was even a restaurant/cafe on site. 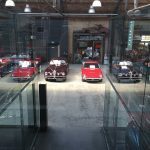 It really was a memorable visit for me – a must see if ever in Berlin and easily accessible via the U-bahn followed by a stretch of the legs to get there. 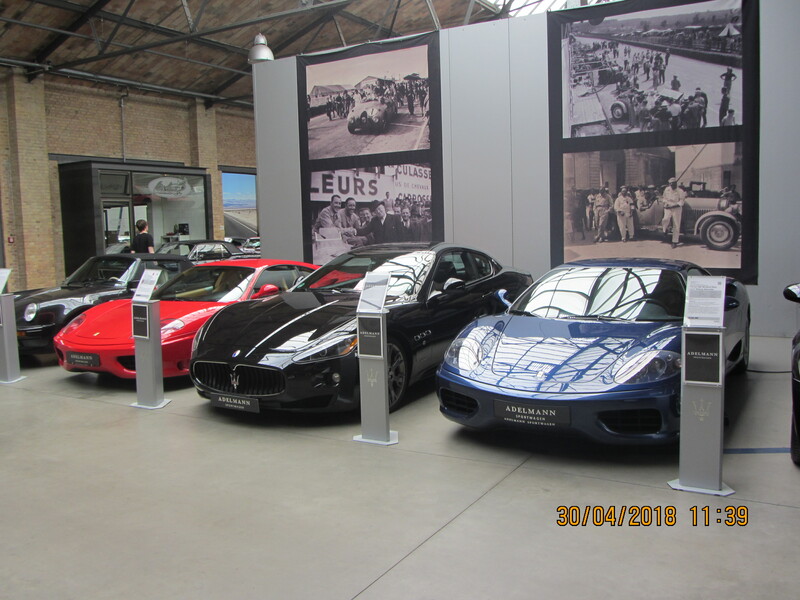 The photos can’t capture the atmosphere of the place but will hopefully give a flavour of some of the exceptional vehicles on display.